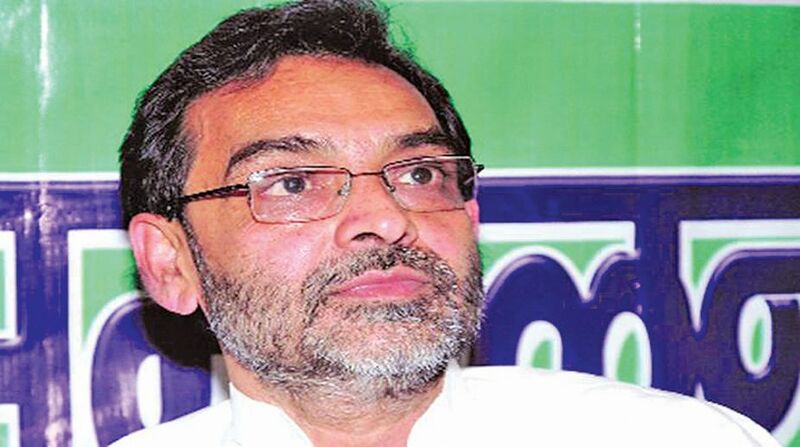 Rashtriya Lok Samta Party chief and Union Minister of State for HRD Upendra Kushwaha will reportedly not attend the NDA dinner hosted by the Bharatiya Janata Party in Patna on Thursday. According to a report in CNN-News18, RLSP is not happy with JD(U) leader and Bihar Chief Minister Nitish Kumar’s growing influence in the NDA. “We have full faith in the prime minister. But we demand from the BJP that there should be an NDA meeting and all alliance partners should decide on the chief ministerial candidate for the next Bihar elections,” RLSP spokesperson M Anand was quoted as saying by CNN-News18. “Without any NDA meeting, if any party projects its leaders as CM candidate, that would be unjust,” he added. According to media reports, JD(U), which a few days ago had said Nitish Kumar was the face of NDA in Bihar, is also not happy with the alliance. The party has reportedly demanded 25 seats saying there is no question of any lesser number of seats. The development has come just a day after Lok Janshakti Party (LJP) chief Ram Vilas Paswan dismissed speculation about a rift within the NDA in Bihar over the issue of seat-sharing for next year’s Lok Sabha polls and asserted that the BJP-led coalition was “intact” in the state. “There is no discord in the NDA, please keep that in mind. The coalition is intact. All the speculation have been created by the media and you may end up being disappointed,” said Paswan, who was flanked by top NDA leaders of Bihar including Chief Minister Nitish Kumar and Deputy Chief Minister Sushil Kumar Modi. Meanwhile, Kushwaha didn’t attend the Iftar party organised at the state LJP headquarters in Patna and his party was represented by MLA Lallan Paswan.